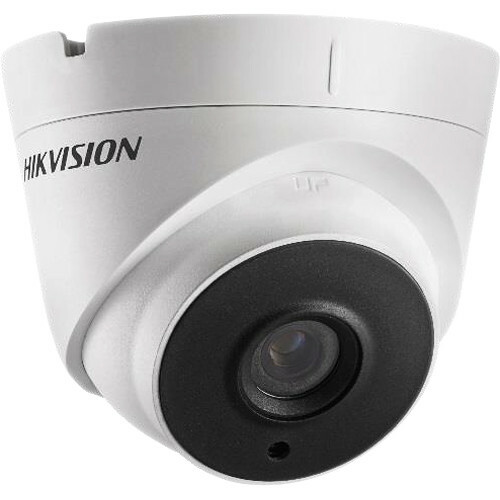 The 2MP WDR EXIR Turret Camera from Hikvision utilizes a 2MP CMOS image sensor and a 2.8mm fixed lens to capture images at a resolution up to 1928 x 1088. With a built-in IR-cut filter this camera can capture clear images in complete darkness with an IR range up to 131.2'. The camera offers WDR (Wide Dynamic Range) of up to 120 dB for capturing images under varied lighting conditions, including extreme backlight and low light. With the IP66-rated weatherproof housing, this camera is suitable for outdoor applications.